Your gift to Family Policy Foundation of North Dakota will build a stronger family policy alliance in North Dakota, train pro-family statesmen, and keep you informed about issues that affect your family. If you do not need a tax deduction and would like to impact the frontline efforts of politics and policy, we encourage you to give to Family Policy Alliance of North Dakota. Please enter only one name in the First Name field. Entering more than one name may prevent your donation from processing correctly. 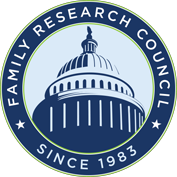 If you already give to Family Policy Foundation, we genuinely thank you for partnering with us as we seek to engage the culture through biblical citizenship! Please note: This page is for making a single gift or setting up recurring monthly gifts. You cannot change your current recurring gift amount here. If you want to change your recurring gift, please call us at 1-866-655-4545. Family Policy Foundation is a public charity exempt from taxation under Section 501(c)(3) of the Internal Revenue Code, and all gifts are tax deductible to the fullest extent allowed by law. A copy of Family Policy Foundation’s annual financial report and a full description of its charitable purposes and activities may be obtained by contacting Family Policy Foundation at 8675 Explorer Drive, Suite 112, Colorado Springs, CO 80920, 866-655-4545 or on the web at www.familypolicyfoundation.com. Florida: A COPY OF THE OFFICIAL REGISTRATION AND FINANCIAL INFORMATION MAY BE OBTAINED FROM THE DIVISION OF CONSUMER SERVICES BY CALLING TOLL-FREE WITHIN THE STATE, 1-800-435- 7352. REGISTRATION DOES NOT IMPLY ENDORSEMENT, APPROVAL, OR RECOMMENDATION BY THE STATE. Florida Reg. #CH18072 (FPA); #CH44771 (FPF). Georgia: Upon request, Family Policy Foundation will provide a full and fair description of this and its other programs and a financial statement or summary. Maryland: For the cost of copies and postage, registration documents and information submitted under the Maryland Charitable Solicitations Act are available from the Maryland Secretary of State, State House, Annapolis, MD 21401, (410) 974-5534. Michigan: MICS No. CS53486. Minnesota: 100 percent of your gift may be deducted as a charitable contribution under federal and state income tax laws. Mississippi: The official registration and financial information of Family Policy Foundation may be obtained from the Mississippi Secretary of State’s Office by calling 1-888- 236-6167. Registration by the Secretary of State does not imply endorsement. Nevada: The state of incorporation of Family Policy Foundation is Colorado. North Carolina: Financial information about this organization and a copy of its license are available from the State Solicitation Licensing Branch at 1-888-830-4989 (within North Carolina) or (919) 807-2214 (outside of North Carolina). The license is not an endorsement by the State. Pennsylvania: The official registration and financial information of Family Policy Foundation may be obtained from the Pennsylvania Department of State by calling toll-free, within Pennsylvania, 1-800-732-0999. Registration does not imply endorsement. Virginia: A copy of the financial statement is available upon request from the State Office of Consumer Affairs in the Department of Agriculture and Consumer Services, P.O. Box 1163, Richmond, VA 23218. Washington: The registration statement required by the Charitable Solicitation Act is on file with the Washington Secretary of State. Financial disclosure information is available from the Secretary of State, Charities Division, P.O. Box 40234, Olympia, WA 98504 or by calling 1-800-332-4483. West Virginia: West Virginia residents may obtain a summary of the registration and financial documents from the Secretary of State, State Capitol, Charleston, West Virginia, 25305. Registration does not imply endorsement. 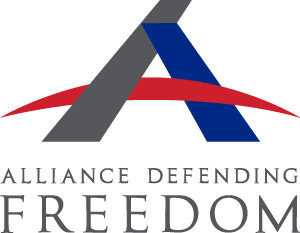 You may receive periodic updates and communications from Family Policy Alliance.